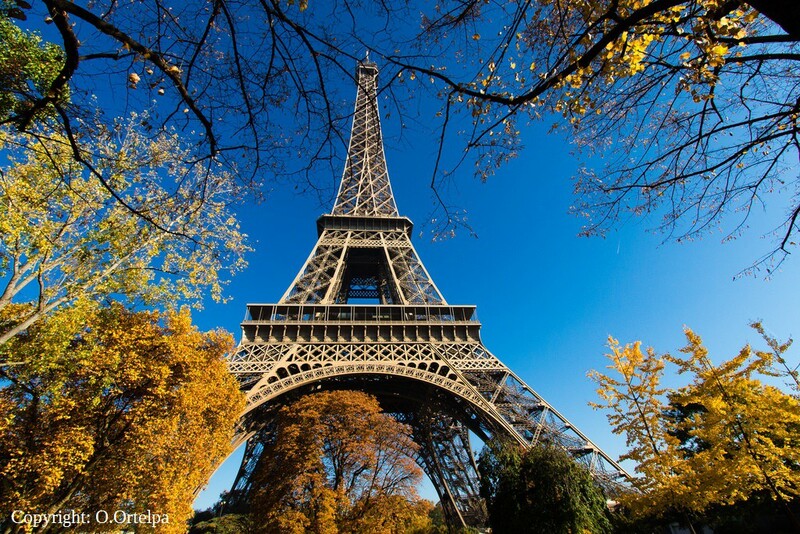 France is one of the most visited country and with good reason as holidays in France let you discover its many castles and monuments, delicious cusine and diverse landscape. From the lush green countryside of Provence, to the rich Renaissance heritage of the Loire valley, to the sunlit vineyards of Burgundy and the long sandy beaches of the Atlantic Coast. And, there’s no better way to discover these gems than by cycling through it. 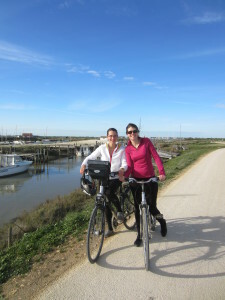 We have been cycling through France for some years now discovering the nicest spot for spending the perfect holidays in France. 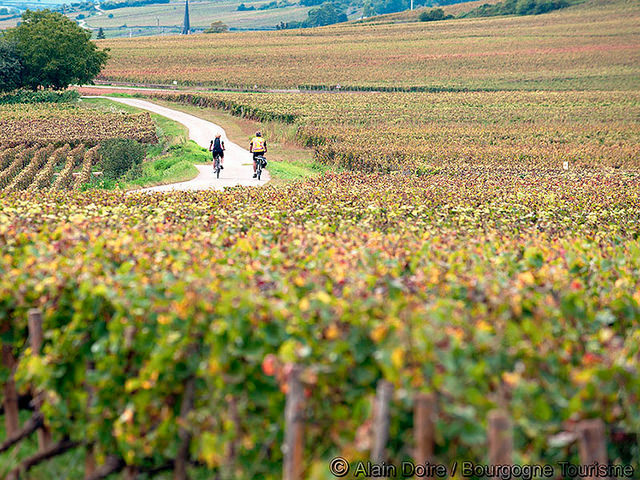 Cycle the Provence and immerse yourself into the magnificent scenery of this region and its outstanding colors. Provence was and is rightfully one of the favourite spots of artists looking for great colors and beautiful light. On your bike tour you will cross vineyards, fragrant lavender fields and hundred-year-old olive groves with the Mont Ventoux or the rocks of Dentelles de Montmirail as a backdrop. 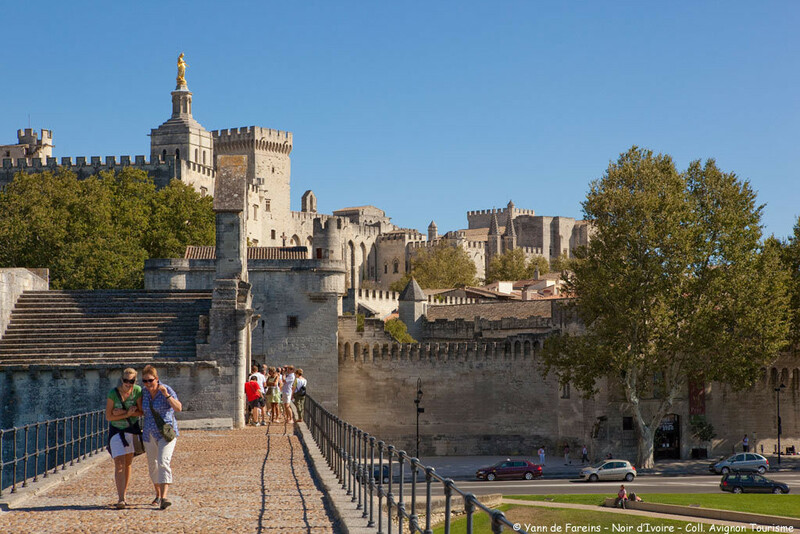 You will visit the main and worldknown spots like Avignon or Chateauneuf-du-Pape, but also the hidden gems of Provence. On quiet countryside roads you will tour through the beautiful nature to places loaded with history like Orange or Vaison-la-Romaine, who date back to the Romans. We created these tours so that they have only short uphills manageable even for occasional riders. If you crave for a deep breath of sea air, a mild climate and the natural quiet life of the seashore, this cycling holiday on the Atlantic Coast Bicycle Route is for you. 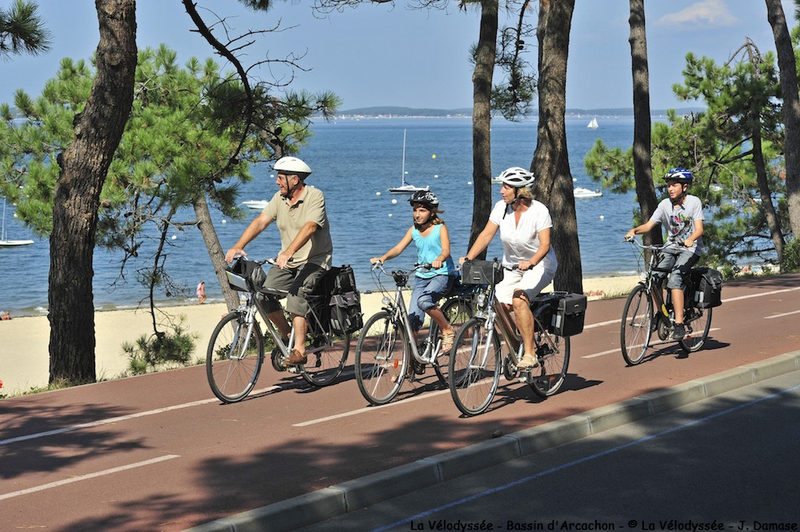 From La Rochelle, ancient fortified harbor, you ride on the Atlantic cycle route « Velodyssey » alternatively along beaches, through marshes or pine forests. Discover Rochefort, Brouage citadel built by the French engineer Vauban, the marshes of Marennes, the oyster-farming port of La Tremblade and the costal town of Royan. During your holidays in France you should not miss a stop in the Loire valley, listed on the UNESCO world heritage list. This region has been chosen by the French kings for its mild climate and way of life and therefore can boast an extraordinary heritage. 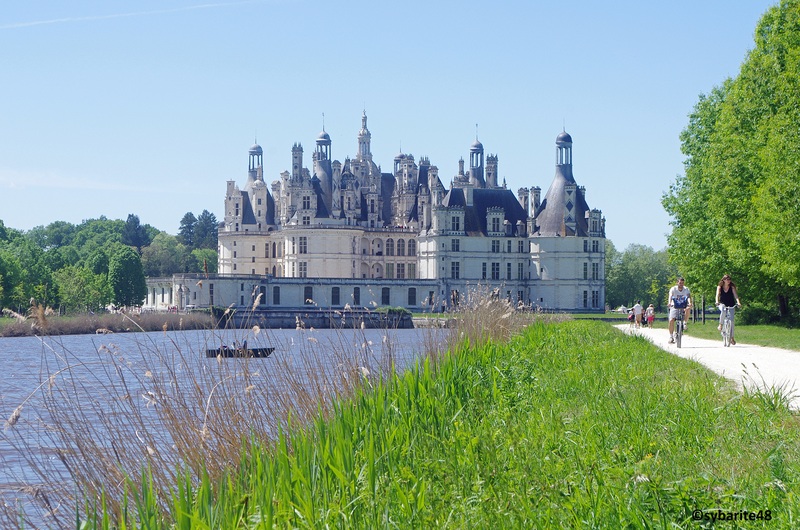 The Loire cycle route leads you from castle to castle : Chambord, Chenonceau, Amboise, the Clos Lucé, Villandry, Azay-le-Rideau among others. But the Loire valley offers also an extraordinary cuisine, beautiful vineyards, cave house villages and magnificient landscape you will admire under the peculiar soft light that singles the Loire valley out. If you spend a little bit of time visiting Burgundy you’ll see why wine here means everything, why people find it so special: a beautiful place where authentic villages, wine traditions, historical monuments and nature merge. As a worldwide knowned wine region, Burgundy has preserved an heritage, which reflects its former power in the Middle Ages. So you will not only enjoy beautiful landscapes with gently rolling hills, but also outstanding cultural sites like the Cluny abbey, the old cities of Macon, Tournus and Chalon-sur-Saône or the beautiful and worldfamous Hospices de Beaune. 1) Alsace is rightly known for its delicious white wines. You ride on hillsides through the Alsatian vineyard and cross small wine villages, where you will have plenty of opportunities to stop at a winery along the way. The owners will be happy to share their expertise and have you taste their wines with by a bretzel. 2) But Alsace also offers a rich and varied cultural heritage with Strasbourg with its modern European district, Colmar with its quaint 16th and 17th century old neighborhood called « Little Venice » ,the flowery picturesque wine villages and the Haut-Koenigsbourg castle. 3) You sometimes bike on cycle paths along the canals or on old railway tracks, at other times on small country roads winding through vineyards. Beautiful panoramic views reflect the richness and diversity of Alsace.